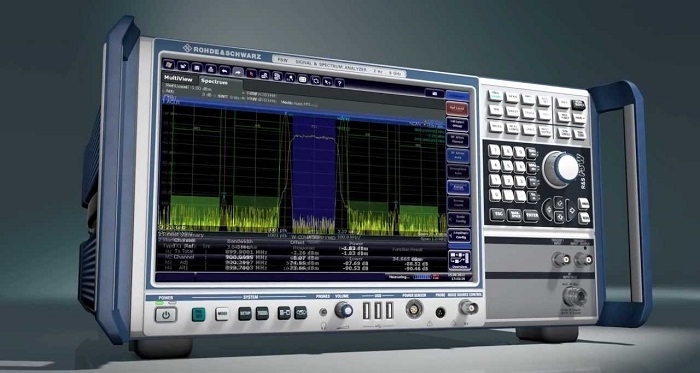 Rohde & Schwarz has released the test and measurement industry’s first firmware option for 5G New Radio (NR) downlink signal analysis. The firmware option for the R&S FSW signal and spectrum analyzer enables verification of signals for base stations, as well as component testing of 5G power amplifiers. As part of the early adopters program, Rohde & Schwarz can now provide the firmware option upon customer request before its official launch to support the industry in its efforts to bring new 5G products to market. This is the first dedicated firmware option for 5G NR installed on the R&S FSW signal and spectrum analyzer. It supports sub-6 GHz and mmWave signals with different subcarrier spacing and carrier bandwidths. Developers can now begin testing according to the 3GPP standard, enabling them to validate 5G base stations in ways that cannot be achieved with general-purpose signal analysis software solutions on the market. This dedicated solution accelerates 5G testing by providing a powerful user interface. The new 5G firmware option for the R&S FSW supports analysis of all bandwidth parts to simplify demodulation of 5G NR signals with several different subcarrier spacings. The 5G NR option extends Rohde & Schwarz leadership position and demonstrates its support 5G test and measurement. In June 2017, the company expanded the internal analysis bandwidth of its R&S FSW high-end signal and spectrum analyzer up to 2 GHz by introducing the new R&S FSW-B2001 option. This test solution enables R&D users to investigate wideband signals in detail without the need for an external digitizer. The R&S SMW200A vector signal generator and the R&S FSW signal and spectrum analyzer have demonstrated outstanding test and measurement capabilities when applying signals based on Verizon 5G open trial specifications.